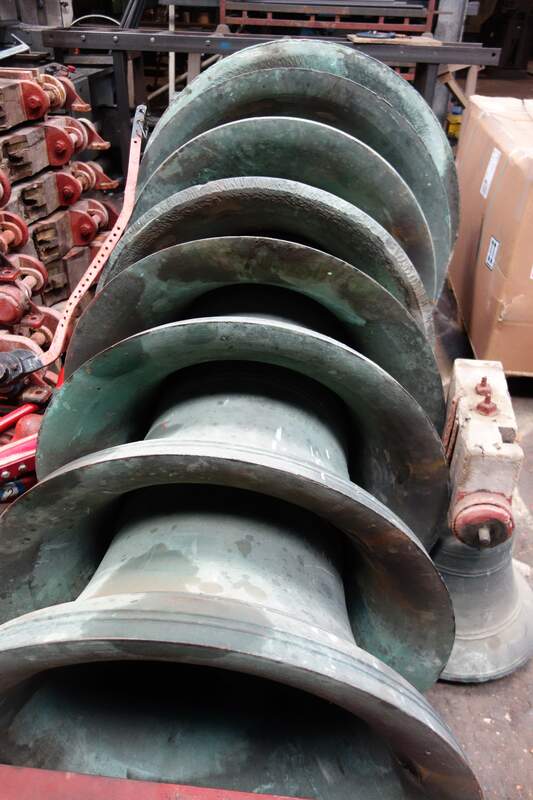 An order has been placed to remove this 14 cwt ring of eight and its fittings from the tower and bring it to Loughborough for restoration. 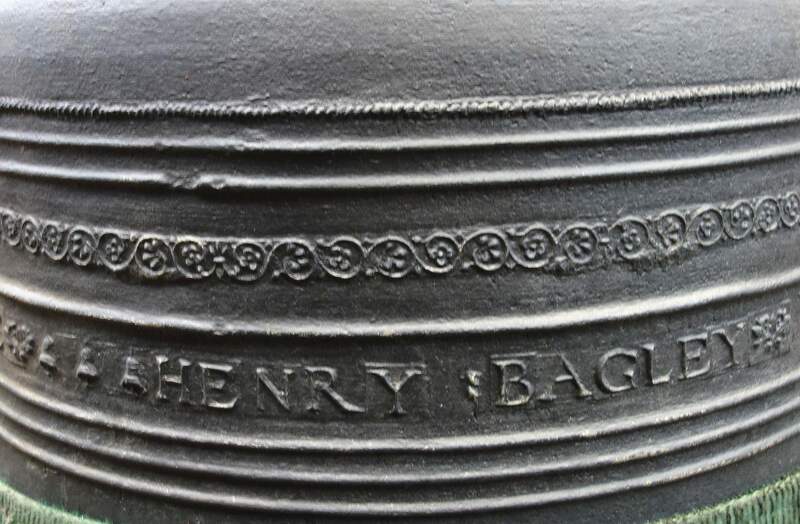 The bells will be checked for cracks and weaknesses and will be strengthened by bronze welding to their crowns and soundbows as necessary. 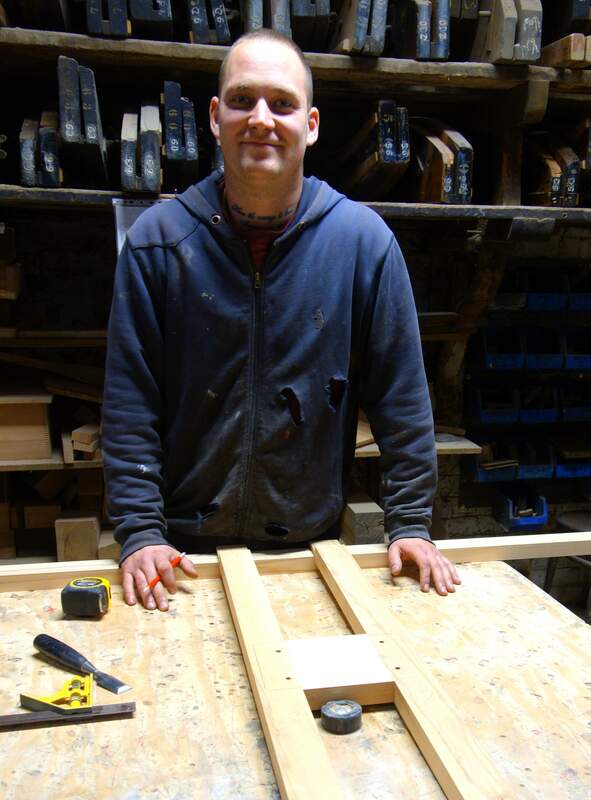 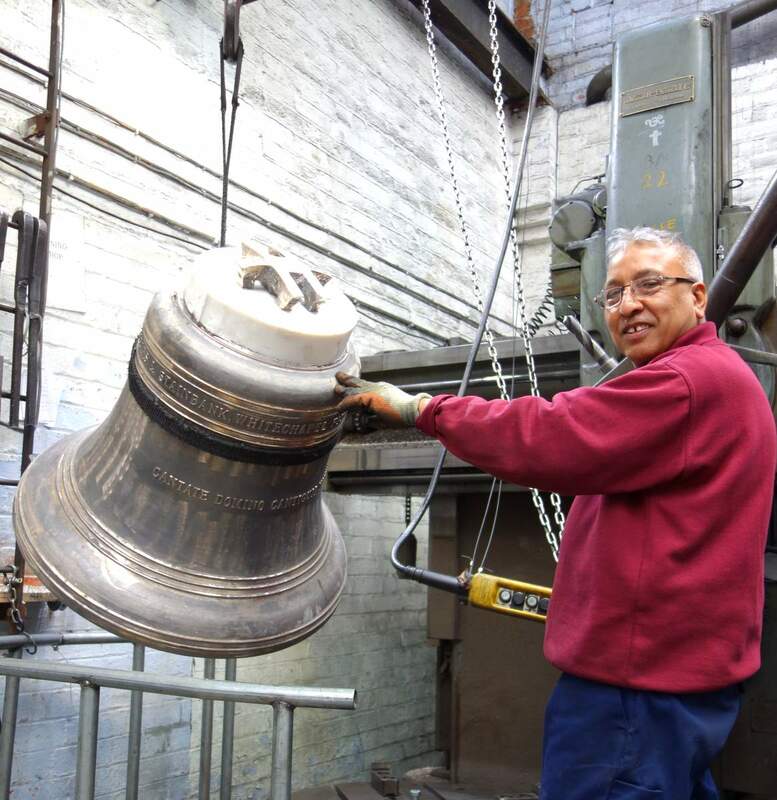 After conservation work, new ringing fittings will be manufactured for the bells before they are rehung in their existing bell frame. 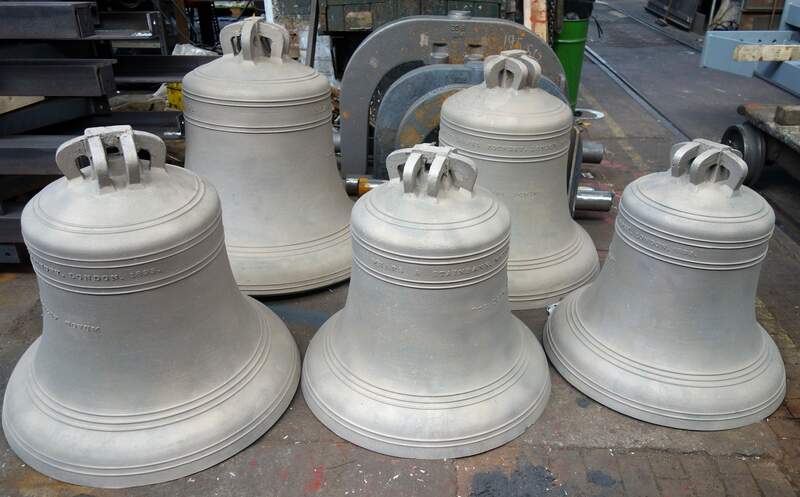 Some of the bells after sand blasting clean. 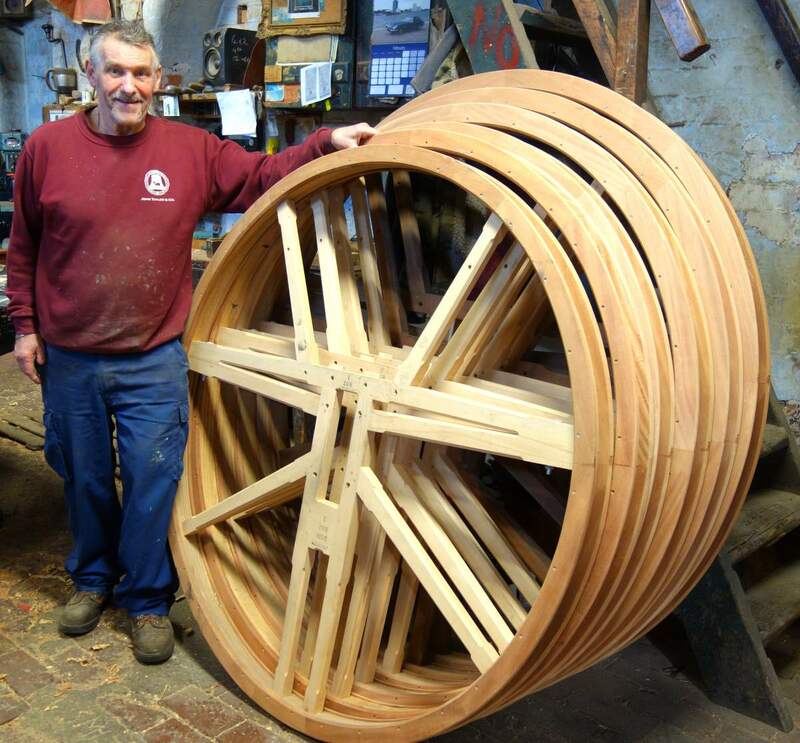 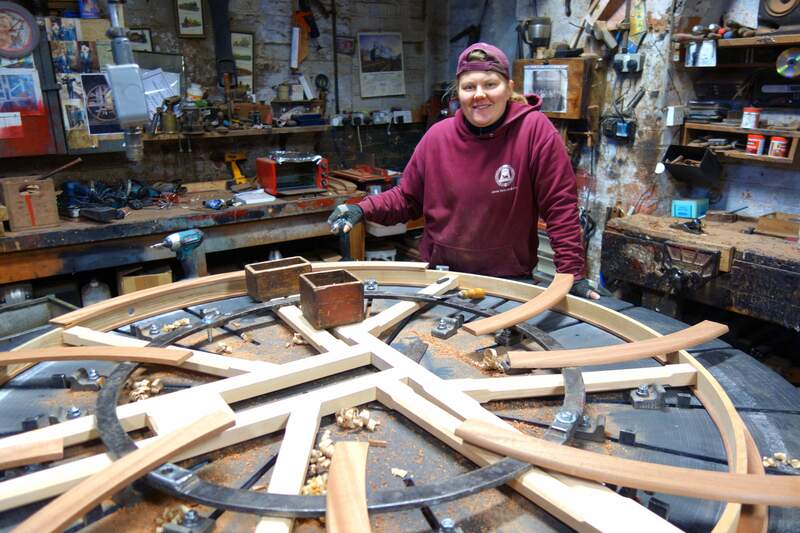 Kart Makes a start on the new set of bell wheels. 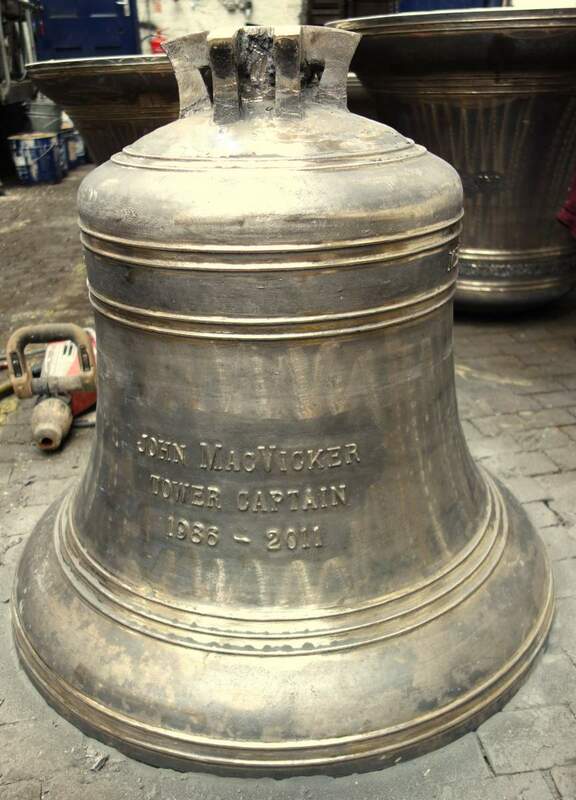 The blackened bells have been repaired by bronze welding. 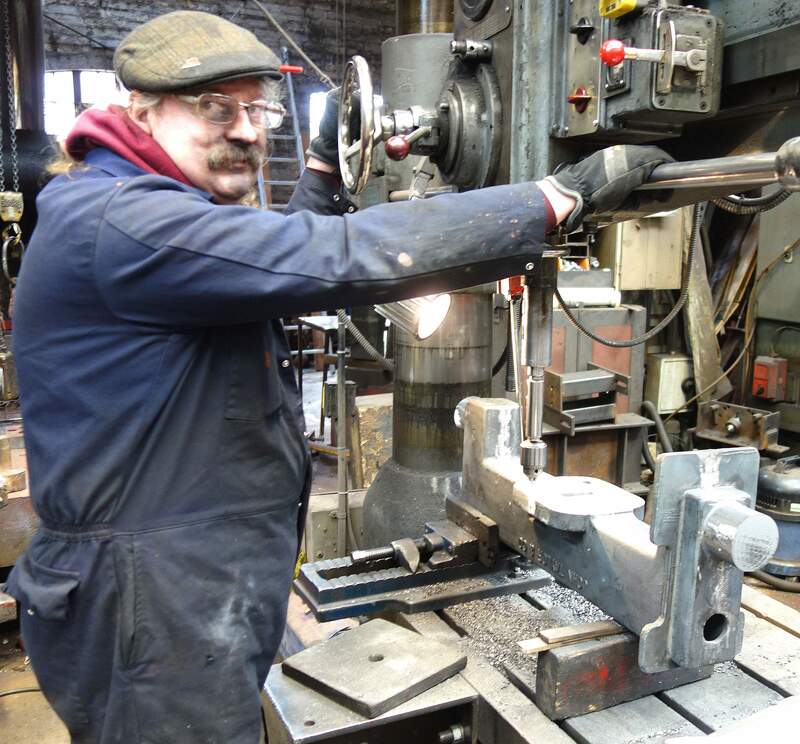 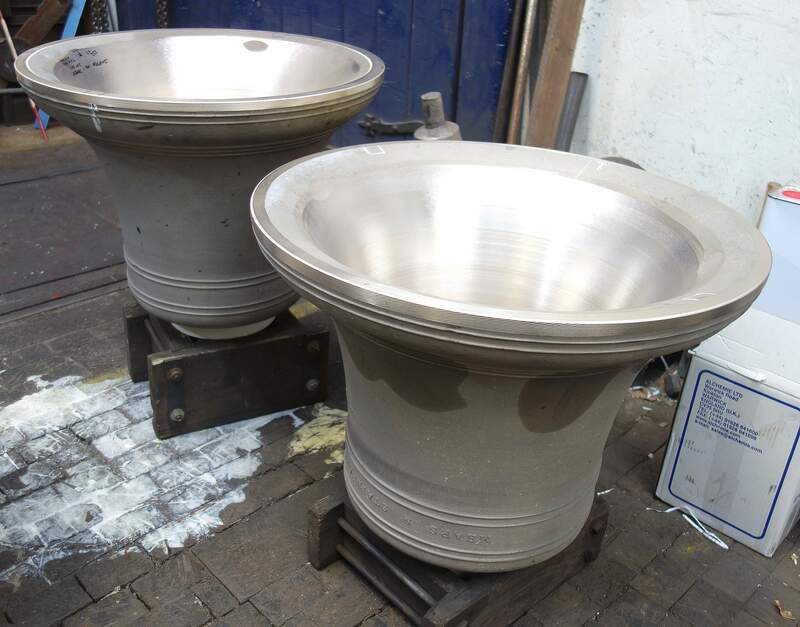 The canons have to be retained on the bells so specially designed canon retaining headstocks have been cast. 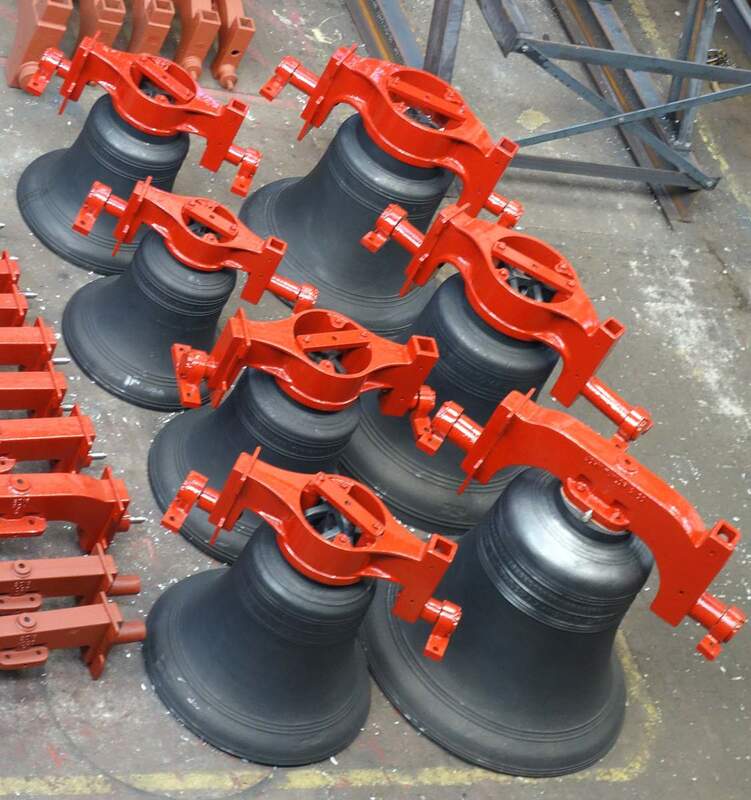 All the headstocks have been fitted to the bells. 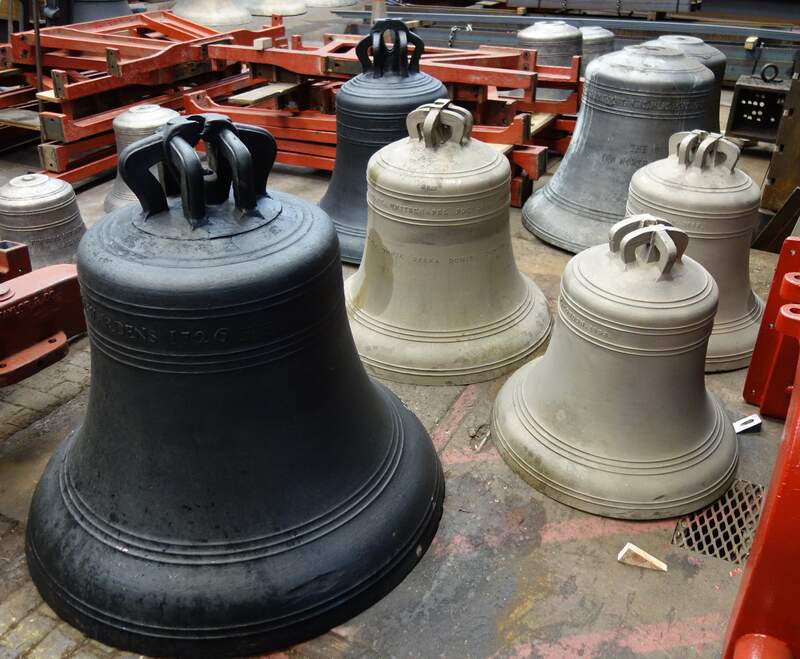 The bells and their fittings have been removed from the tower and transported to Loughborough. 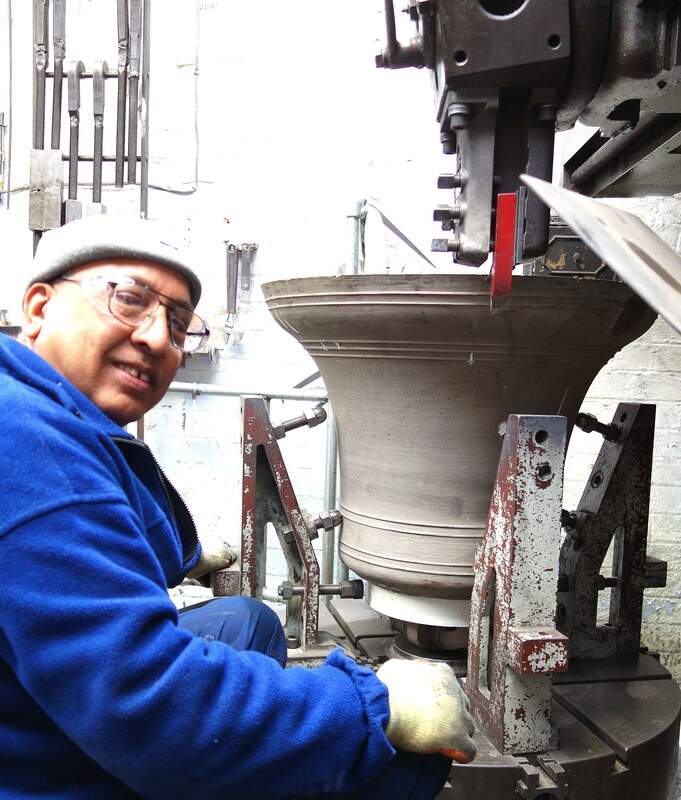 The bells have been conserved, cleaned by gentle sandblasting and new seating pads have been cast on their crowns. 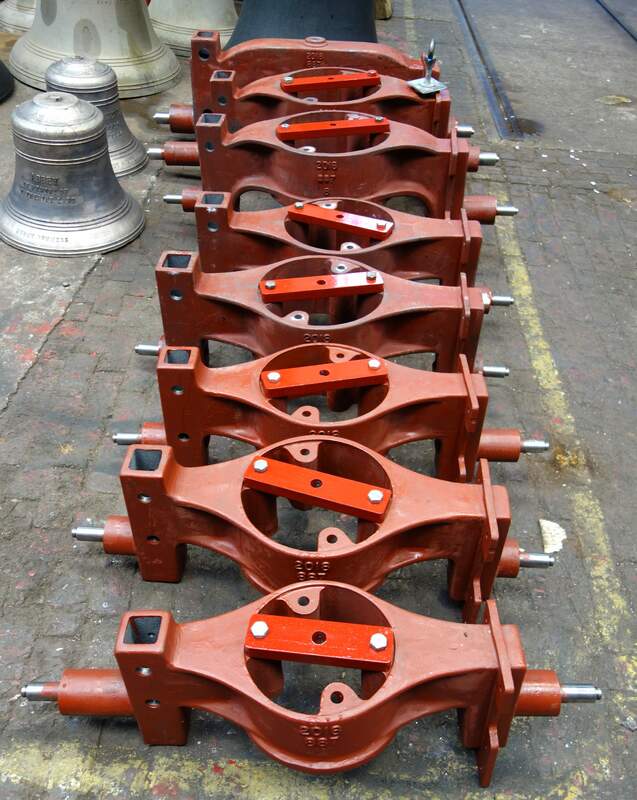 The bell wheels and headstocks have been manufactured. 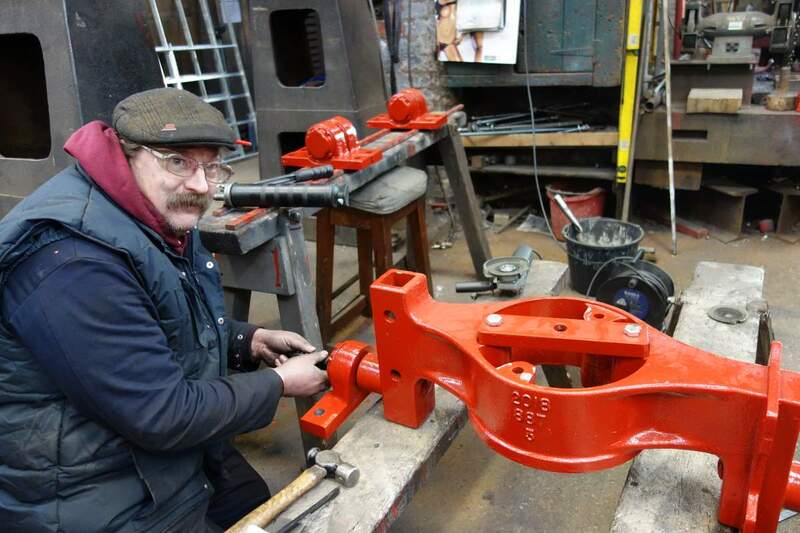 The tuning of the bells has been completed, and the headstocks have now been fitted to the bells. 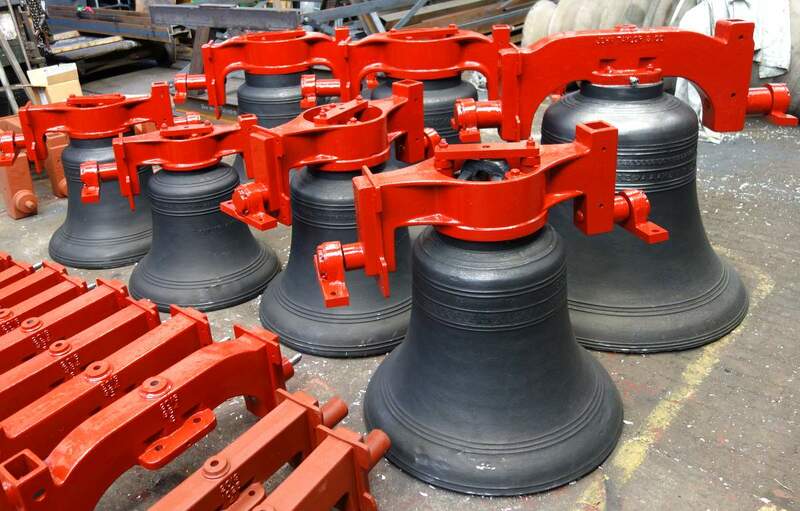 An accident during the tuning process has necessitated the 3rd bell being recast - the new bell is an exact replica of the original - complete with canons! 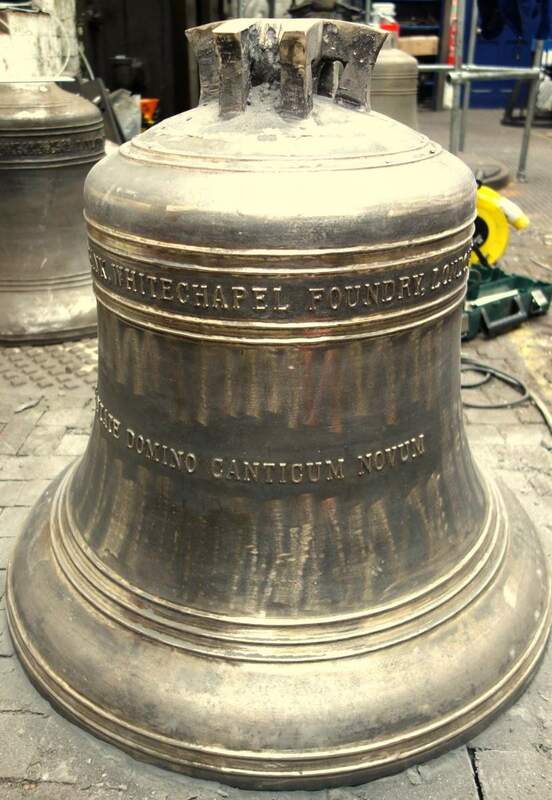 The new bell has been tuned, had its seating pad cast and its headstock fitted. 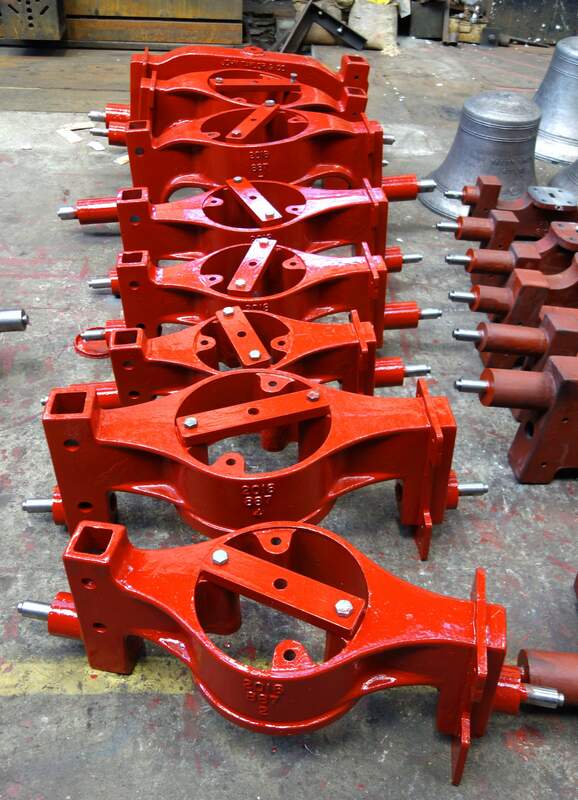 The bells and their fittings have been dispatched - hanging nears completion.